Milka Duno is gearing up for her first full season ARCA Racing Series behind the wheel of Venturini Motorsports No.35 entry. 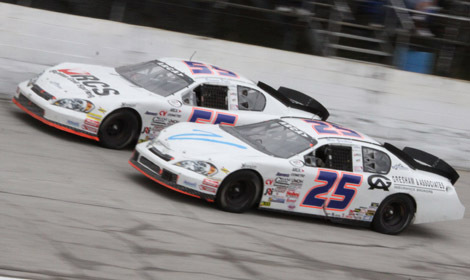 Fifteen-year old racer Kyle Benjamin will join Venturini Motorsports for select ARCA Racing Series events in 2013. 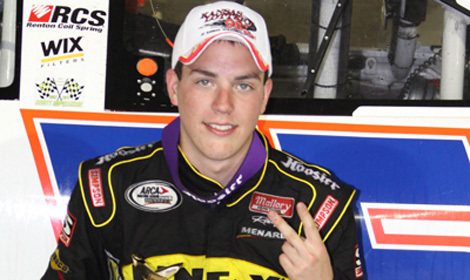 Seventeen-year old driver Taylor Ferns has signed with Venturini Motorsports to contest a seven-race schedule in the ARCA Racing Series in 2013. ARCA Racing Series rookie Matt Kurzejewski, in the No. 54 Dodge, sat atop the speed charts for most of the afternoon test session Saturday at Daytona Int'l Speedway. Officials from ZLOOP and Venturini Motorsports jointly announced today that Justin Boston will compete full-time in the Automobile Racing Club of America (ARCA) next season. Venturini Motorsports, in its 30th Anniversary Season of ARCA Racing Series, is heading home to celebrate. Venturini Motorsports and 18-year-old Kyle Fowler led the first day of ARCA Racing Series testing at the recently repaved Daytona Int’l Speedway Tuesday afternoon.